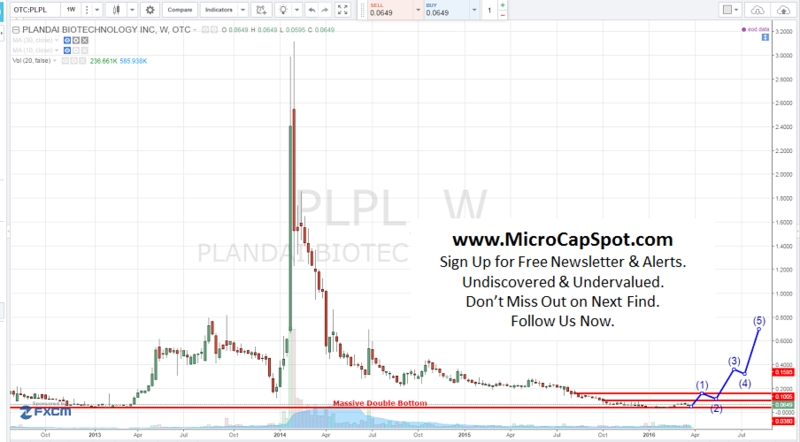 Plandai Biotechnology Inc (OTCMKTS:PLPL) announced that it had officially launched in North America and shipped its first product to USA customers. The London-based company has primarily sold in Africa and Western Europe but continues to expand into new markets. It expects to sell in South America at some point as part of its global expansion plans. Phytofare has been clinically shown in double blind human studies to have ten times the level of bioavailability over generic green tea extracts. Not only is Phytofare better absorbed in the bloodstream, all eight catechins are present where they remain at therapeutic levels for over 24 hours. Generic extracts, by comparison, were shown to have only two catechins, both of which were absent from the system after four hours. This difference means that customers and consumers can take much smaller doses and achieve greater clinical outcomes. Don’t Miss Next Pick Alert. Subscribe Right Now!